Any good labor lawyer receives a minimum of 5 new client calls a day in which an employee calls in seeking representation on an employment case. They also receive e-mails. If we think what you say on the phone sounds like a case we will meet with you for free at our office. You can call the initial client meeting a free consultation, but we would like to think of it as a client who has made the decision to sue and is planning to hire our firm to file a lawsuit against their employer. Beware of any labor lawyer who advertises a, “Free consultation.” If this means they will get on the phone with you for five to ten minutes, is that a consultation? While there may be some exceptions, any experienced lawyer representing employees knows they cannot give you legal advice in five to ten minutes. If you really want to find out what your legal rights are as an employee, you need a half hour to two hours with a lawyer. Will any employment lawyer give you a half hour to two hours just to answer your labor law questions when they don’t think you have a case they can take? Hell no! Labor lawyers offering free consultation fall into several categories: naïve and inexperienced in employment law, lawyers with a gimmick to get your attention, or lawyers who have began your attorney-client relationship based upon a false promise. You do not want any of those kinds of lawyers. Firm founder, Karl Gerber, screens all of the Employment Lawyers Group’s new client inquiries. He has screened more than 300,000 employment cases. Find somebody who has screened that many inquiries over 20 years. The information you provide to our staff is directly transmitted to Karl Gerber who makes a decision whether you might have a case the firm can help with. If the firm believes you may have a case we can help with, you will be transferred to one of our labor attorney if not Karl Geber. You will have the opportunity to explain the basic premises of the case to the labor lawyer. If one of our labor lawyers believes you have a chance of prevailing and we can assist you with your employment case because it otherwise meets our criteria, an appointment will be scheduled forthwith. You will not be billed for the appointment. Because we only represent employees on a contingency, are not paid unless and until we recover money against the employer, we ask that clients not make appointments with us if they are not serious about pursuing their employment lawsuit. We also ask that clients appear for their appointments on time and cancel if they cannot make it. We clear up to two hours for initial client meetings. While some meetings are faster, we want to allow the clients adequate time with the attorney. 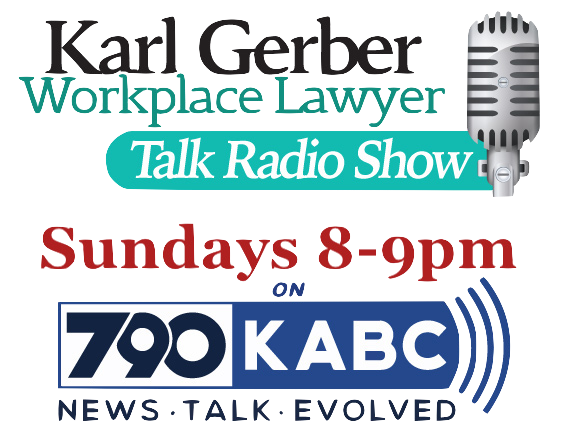 Firm Founder, Karl Gerber, has screened more employment cases than any practicing labor and employment lawyer. He will review the information you initially provide when you call or e-mail. He monitors all cases and acts as a managing attorney on them. He will also directly work on almost all cases including taking depositions, drafting some of the discovery on the case, attending mediations, and potentially trying your case. If a labor law firm offers a, “Free consultation” on the phone or in person for more than fifteen minutes they are inexperienced in labor law unless you met them through a bar association referral program which requires they meet you for a half hour. Any worthy employment lawyer receives too many new client calls per day to offer free consultations regardless of whether you have a case, or a case they want. Besides, an experienced labor lawyer knows it takes a minimum of a half hour to two hours in order to provide legal advice. Even then the advice is only partial and will not be complete without reviewing documents and hearing the employer’s side of the story. Because Karl Gerber has represented so many employees, has read developments on labor law, and screened so many new client inquiries he can quickly assess whether your employment situation merits further discussion with a labor lawyer. We look forward to your telephone call, or e-mail about your potential employment case. If your case does not meet our criteria for any reason we will give you the option of referring your case to an employment lawyer we know and worked with. Because we have done labor law as long as we have there are lawyers who used to be part of our firm who branched off into their own practice. 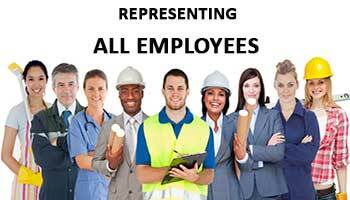 Because we are active in employee representation we also know newer lawyers and lawyers just setting up their practices who may be more willing to take your case. Although our standards are high, we do take difficult cases and encourage you to call us.